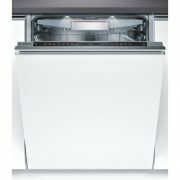 Tags: BESTBUY!, BOSCH, fully Integrated Dishwasher, Integrated Dishwasher. 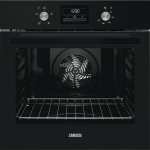 The ActiveWater 60 with Super 60°C programme, OpenAssist and TFT display: brilliant cleaning and drying results. Super 60°C programme: achieve brilliant cleaning and drying results faster. Heat ExchangerDishwashers with heat exchangers treat precious glasses and porcelain with particular care and no risks. Water is pre-heated in the rinsing tank to avoid any temperature shocks. LoadSensorThe load weight is detected by a rotary speed sensor which recognizes the water level. 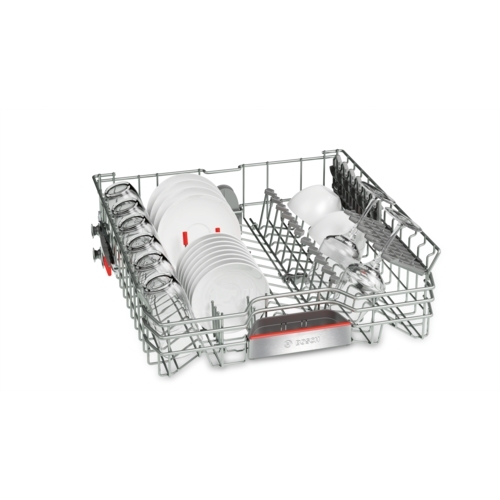 For bigger loads, more water is needed to soak the dishes and the water level decreases. In that case more water is added. For smaller loads, less water is needed for rinsing. The load sensor provides for optimal water usage even for half loads or partial loads, saving water and electricity. HygienePlus optionHygienePlus is a new option that can be activated in many programmes, and guarantees maximum hygiene thanks to antibacterial cleaning. This effect is achieved by a higher temperature level of up to 70°C during rinsing, sustained for approximately 10 minutes. HygienePlus is therefore ideal for people with high hygiene standards, for instance in households with small children or allergy sufferers. Electronic delay timerWith the time delay function you can pre-select the programme for the desired start time. 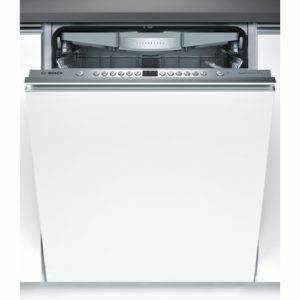 This allows you to handle your appliance conveniently, at any time during the day, during work hours or at night. After the start of the programme a display indicates the precise remaining time. 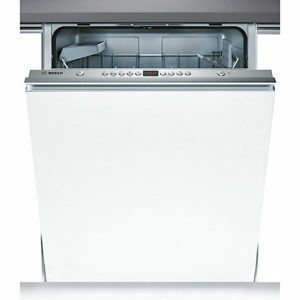 EcoSilence DriveTMTo increase our cleaning efficiency we have developed the economical EcoSilence DriveTM. 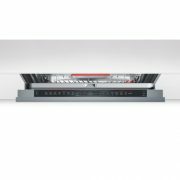 It is exceptionally quiet, efficient and guarantees low electricity consumption. The EcoSilence DriveTM works without brushes is ultra silent and top results are automatically guaranteed. 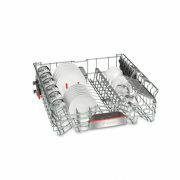 ActiveWater technologyThis innovative rinsing technology maximises efficiency and ensures environmentally friendly rinsing for excellent cleaning results. The water and energy is saved through targeted water distribution, optimised filter technology, faster heating and higher pump performance for increased water circulation. TFT displayThe multicoloured TFT display provides information quickly. 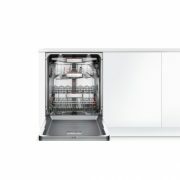 With pictures and easily legible type, it shows what cycles and options were selected, the dishwashing progress, time remaining, and much more. Handy instructions guide users through cycles and offer useful information on the best use of the dishwasher, and on saving water and energy. In addition, the display shows the salt and rinse aid levels. 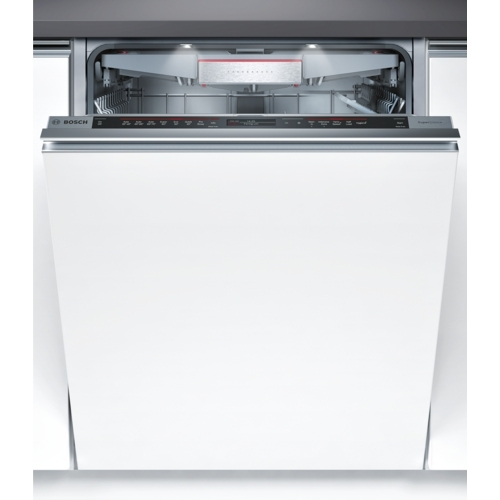 Futurise your kitchen with the A++ energy efficient Series 8 SMV87TD00G fully integrated dishwasher from Bosch. It’s packed full of amazing features, such as the TimeLight which displays the time on the floor. 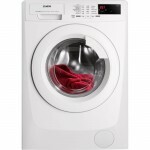 It’s also been rated A in performance for both washing and drying. Impressive your friends with this amazing TimeLight feature. 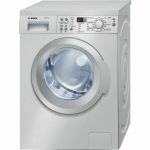 It’s ideal for checking in on your wash as it illuminates the ground and displays the cycle’s remaining time, the chosen cycle and whether it’s at the pre-wash, rinse or drying section. 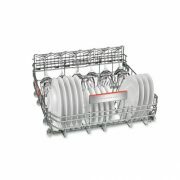 If you need a little extra room, the top basket has been designed to be flexible so you can easily adjust it when empty. 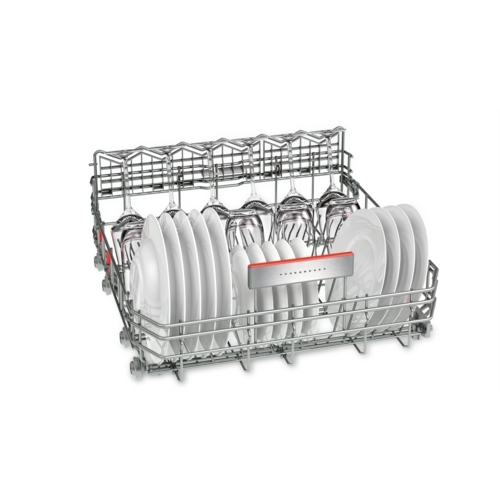 This way you can fit more into your dishwasher without needing to do another load. This amazing feature checks the load and adjusts the electricity and water that’s required for that load so you don’t waste energy or water. 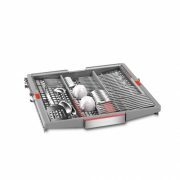 Due to soft water causing glass corrosion, Bosch has designed their dishwashers with glass protection to regulate the degree of hardness. This guarantees your glassware and delicate china are always given extra care when washed. The AquaStop System features a double-walled feed hose, a safety valve and a floor tank with a float switch. This provides you with 100% protection against water damage and it’s guaranteed by Bosch for the life of your appliance. This feature regulates the water usage depending on the type and degree of dirt on your kitchenware and uses light beams to manage the rinse. 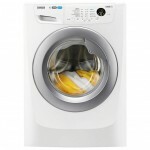 Depending on the remaining food particles, grease or detergent residues in the rinse, it then assesses the rinse to evaluate whether it needs to be continued. 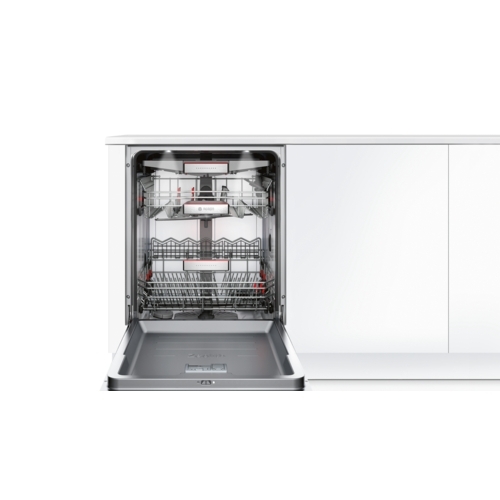 Now you can delay your dishwasher to start washing between 1 – 24 hours. 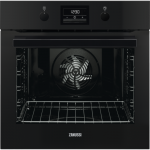 Perfect if you want it ready before you come home from work or have it start in the evening when your energy prices may be lower.